To serve cold, this dish is the classic Venetian way used to ennoble the minute fish, treating it in sweet and sour sauce with the typical regional. In addition to achieving a quality gastronomic result, a preparation was obtained that was kept for ten days, if kept in a fresh environment. At one time the onion was cooked later, in the frying oil of the fish. Mackerels, soles and flounder are also made in saor, but the small fresh water fish is not bad either. In Venice, today the saor with prawns is very fashionable. 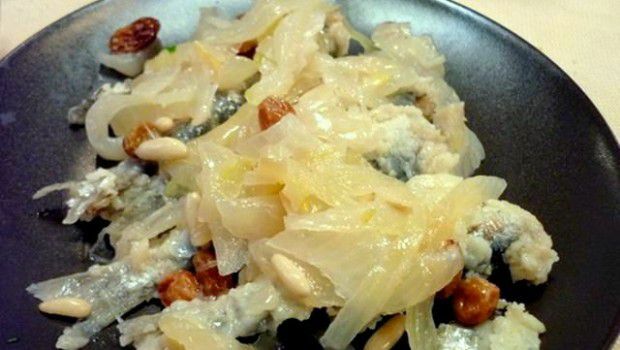 For a more natural taste, you can fry the sardines without flour.